A rare strain of meningococcal disease has killed 6 people this year, triggering the Ministry of Health to ask doctors and emergency departments to be on alert for symptoms. The number of cases of group W meningococcal disease (MenW) has doubled over the last 12 months, but it's unclear why this strain is particularly virulent. In the early 2000s, the government rolled out a nationwide vaccination programme following a meningococcal B outbreak, but it has since been taken off the vaccination schedule. The government is considering publicly funding vaccinations against the new strains of meningococcal disease. 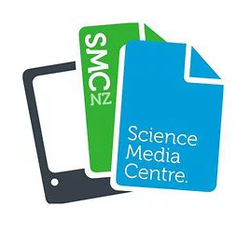 The SMC asked experts to comment on the state of meningococcal vaccination in New Zealand, and if a move to vaccinate against this new strain is warranted. Please feel free to use these comments in your reporting. Back in 2011, Dr Turner answered our questions about the meningococcal B immunisation programme. "New Zealand historically had an epidemic of a strain-specific type B for which a vaccine was tailored specifically (MeNZB) and delivered in 2004 – 2006 to all young people up to 20 years of age. As the epidemic waned, the vaccine was taken off the schedule. While it was effective for the epidemic type, it was not expected to have effectiveness against other strains and its effectiveness now will have waned. "Since that time there have been new meningococcal vaccines on the world market. For B disease there is a new vaccine called Bexsero which the UK has introduced on their schedule, as has South Australia just last month. There are also very good vaccines against the A, C, Y, and W strains of the disease which are used in some more affluent countries, including the UK, Australia, US and parts of Europe. "New Zealand has these vaccines for some high-risk groups and it is available for purchase. But they are not currently on our national schedule for all. "I am aware that our authorities have, and are continuing to, put thought into introducing these vaccines to New Zealand. It is a little complex and many factors need to be weighed up. Firstly, this is a rare but very nasty disease: rates up until the last two years had been relatively low, and the vaccines while effective, do not give lifelong protection. "Disease occurs mostly in infants, younger children and adolescents/young adults and the organism is usually mostly carried in the throats of adolescents but not exclusively. Schedules that focus on these two ages are likely to be the most effective. We already have a lot of vaccines in the infant schedule, so adding in others can be done, but is not simple. Adolescents also are likely to need a dose and currently we have a vaccine schedule visit at intermediate school age, but not at high school, which may be a better age to get through the higher risk years of late adolescents before vaccine effectiveness wanes. "The other complex issue is the role of herd immunity – if we did a campaign across all young people, we may be able to reduce the carriage of the organism in people’s throats and therefore prevent more disease, prior to introducing a vaccine on the schedule. "Meningococcal B remains the predominant type in circulation in New Zealand; typically it causes around two-thirds of all meningococcal disease. However, in the past two years, we have seen a rise in W disease. Previously this was a very small percentage of all disease, but this year it has caused around 25% of cases. The problem with W disease is that it can present with even more diverse symptomatology so can be even harder to diagnose than other meningococcal presentations. It is often more virulent with higher death rates – possibly up to 15%. A very scary disease! It also tends to affect a broader age range, with more than 40% of the cases in adults over 40 years. "New Zealand is not the only country struggling with how to best manage this awful disease. I believe there is definitely a role for vaccines here, but sadly they will not be a magic bullet." Note: Dr Petousis-Harris has also written a blog about the situation. "Over the last year there has been a jump in meningococcal cases caused by serogroup W, a serogroup that does not normally dominate our NZ meningococcal landscape. While all these groups of meningococcal are killers, this particular strain of group W (sequence type ST11) affects all aged and appears super virulent. "The numbers of cases caused by this strain have doubled since 2017 from 12 to 24 so far. People who have this strain are more likely to die. To make this worse the signs and symptoms are a bit different from the usual making diagnosis harder. GPs are being prompted to be on the lookout and to administer antibiotics on suspicion." "Meningococcal disease is rare but deadly. We have vaccines that protect against the meningococcal groups circulating in New Zealand including the new hypervirulent W and the groups B and C that cause most of the cases."